The Civic Theatre in Allentown will have a special showing of Avi Lewis’s documentary film, This Changes Everything, on Tuesday, October 20th at 7:00 pm. Raging Chicken Press will be there are we’d like to give you a chance to be there too. We are giving away three pairs of tickets (that’s six tickets total) to Tuesday’s special showing of This Changes Everything. Raging Chicken Press will be there are we’d like to give you a chance to be there too. We are giving away three pairs of tickets (that’s six tickets total) to Tuesday’s special showing of This Changes Everything. Not only do we think this will be a fantastic event, we think it might help light the necessary spark to deepen our organizing around climate change and provide activists and community members an opportunity to network and organize. 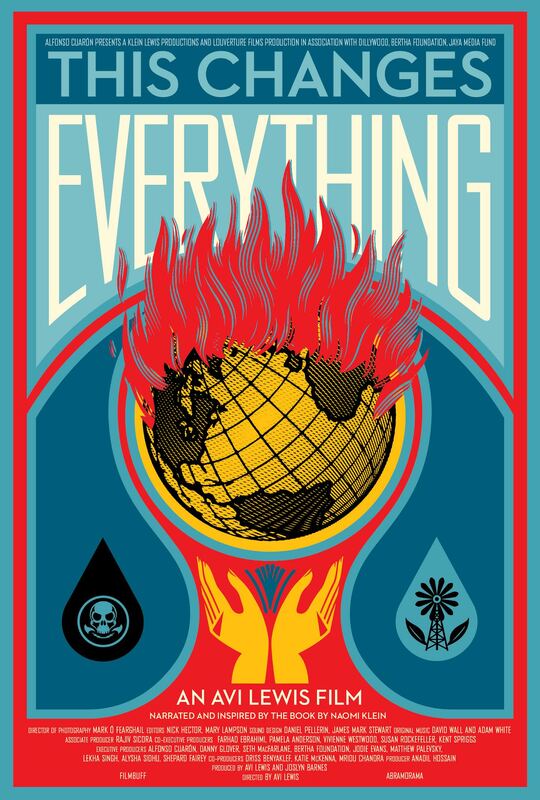 If you want to make sure you get a ticket or want to organize a group to go see This Changes Everything on Tuesday, you can also by tickets directly from the Civic Theatre RIGHT HERE. Make sure you get your tickets soon, because its looks like this event will be sold out. Tickets will be sold at the door and the box office opens two hours before the film.